Michigan Court Rules for Westfield Insurance in 'Employee v. Contractor' Case - Employee or Independent Contractor? The focus of Farm Bureau General Insurance Co. of America v. Westfield Insurance Co. is whether that worker was an employee or independent contractor. 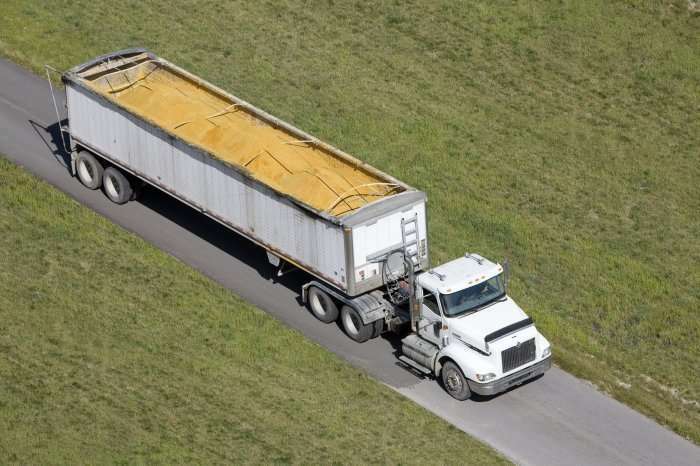 Mark LaPointe drove grain trucks on a part-time basis for Larry Benore & Sons, an Erie, Mich., farming business owned by Craig Benore and his mother. LaPoint was seriously injured when the semi-tractor he was driving for Benore collided with a train and he was ejected from the truck. The vehicle was owned by Benore and insured by Westfield. At the time, LaPointe’s own vehicles were insured by Farm Bureau, which began paying no-fault PIP benefits to LaPointe after the accident. Farm Bureau then sought reimbursement from Westfield, arguing that because LaPointe was an employee of Larry Benore & Son and operating a truck owned by that company at the time of the accident, Westfield, as the insurer of the business vehicle, was responsible for paying the PIP benefits. Farm Bureau also sought declaratory judgment that Westfield was the “higher priority insurer” under Michigan statute MCL 500.3114. Westfield filed a counterclaim seeking the opposite, asserting that LaPointe was not Benore’s employee but an independent contractor. LaPointe and Craig Benore were friends and LaPointe worked for Benore & Son on an as needed/as available basis. That is, LaPointe could choose not to work if Benore asked him to and Benore could choose not to employ LaPointe. LaPointe was employed full-time at another trucking company, a fact that was known to Benore. LaPointe had no control over his duties – he was hired to drive the truck to a certain location and nothing else. He kept his own hours but turned them in for pay at a rate set by Benore & Sons ($12 per hour). Benore clearly had the right to hire and fire LaPointe at will. The trial court determined that LaPointe was a seasonal employee because he was only hired at harvest time, but an employee nevertheless. As such, the trial court declined to take up the issue of whether LaPointe was an independent contractor, as Westfield argued. The trial court entered a judgment in Farm Bureau’s favor and ordered Westfield to repay Farm Bureau for the benefits it previously paid to LaPointe. Westfield also was directed to pay all future PIP benefits due to LaPointe. Using the same economic reality test utilized by the trial court, the appeals court came to a completely different conclusion. It agreed with Westfield that the trial court was wrong in determining that LaPointe was an employee of Benore & Son and in finding that Westfield is the higher priority insurer in the case. The appeals court also pointed out that Benore knew LaPointe had a full-time job as a semi-truck driver for another company and that not only did Benore not provide LaPointe with either a 1099 or a W-2 tax form, the two also bartered for work at times. In finding that LaPointe was not Benore’s employee, the appeals court reversed the opinion of the trial court.